From the Orient a wide selection of furniture, objects, statues, paintings, grouped by ages and country of origin. Selecting the ages on the left you can see all the items of oriental antiques, offered for sale by the best galleries. The choice is vast and includes avory, jades, tansu (sideboards), beds, Oriental porcelain, panels, carpets and antique objects divided by location: China, India, Tibet, Japan, Mongolia, Indonesia. 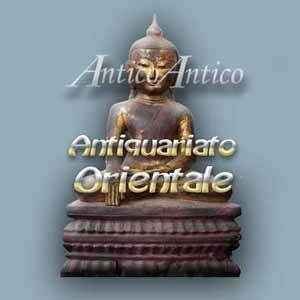 We are setting up a section that contains news, articles and reviews on Oriental Antiques. If you have interesting material to send, such as biographies or studies of the works or anything else that might be of interest to the public, send it to us at info@anticoantico.com . Upon approval, we will be happy to publish it on our site.